On this page you can consult informations about distances and roadmaps from Corowa Airport to major cities and places in Australia. 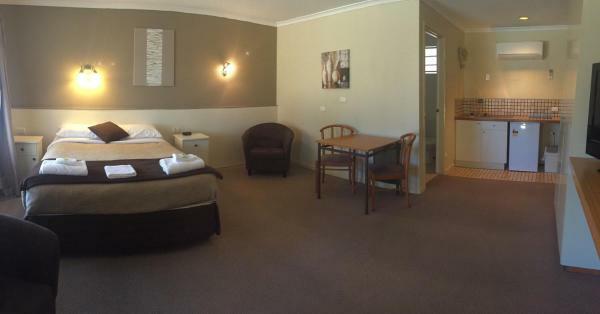 Boasting an outdoor pool, free Wi-Fi and BBQ facilities, Golfers Retreat Motel is just 5 minutes’ walk from Corowa Golf Club. It offers self-contained studios with a private patio and outdoor seating. This hotel is 3.26 km from city center. Set on 2 acres of lovely gardens and manicured lawns, Golfers Lodge Motel offers a saltwater swimming pool and accommodation with a patio. Guests enjoy a games room and a shared kitchen. It is 600 metres from the Golf Club House. This hotel is 4.22 km from city center. 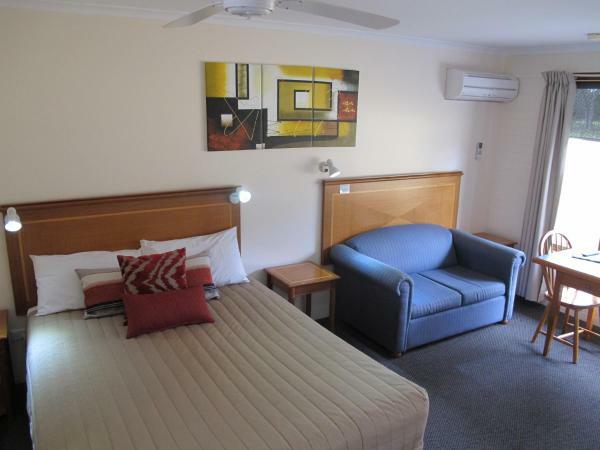 Located in Corowa, Corowa Golf Club Motel features a tennis court and BBQ facilities. Offering a restaurant, the property also has a bar. Free WiFi and an ATM are offered. At the motel, each room is fitted with a wardrobe and a TV. This hotel is 5.05 km from city center. 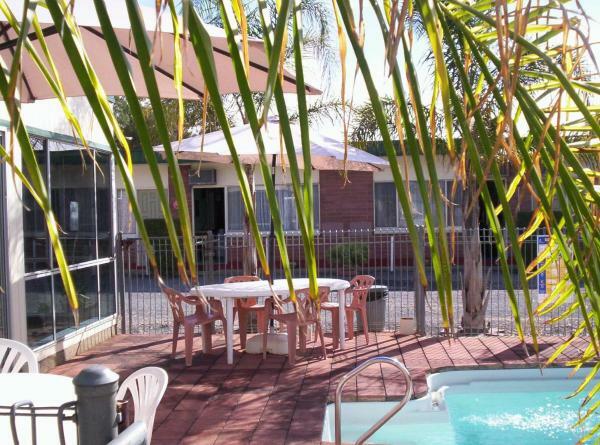 Surrounded by beautiful gardens, Greenacres Motel features a heated spa pool, barbecue facilities and an outdoor swimming pool. Free Wi-Fi and electric blankets are included. This hotel is 2.45 km from city center. Offering free Wi-Fi, guests at Arcadia Motor Inn can enjoy swimming in the outdoor swimming pool and sharing a meal in the shaded BBQ area. Each room offers a HD LCD TV. 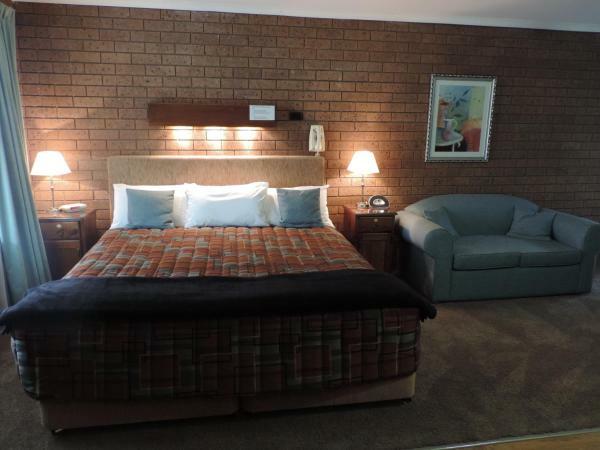 All rooms at Arcadia Motor Inn Corowa offer heating and air conditioning. This hotel is 2.50 km from city center. 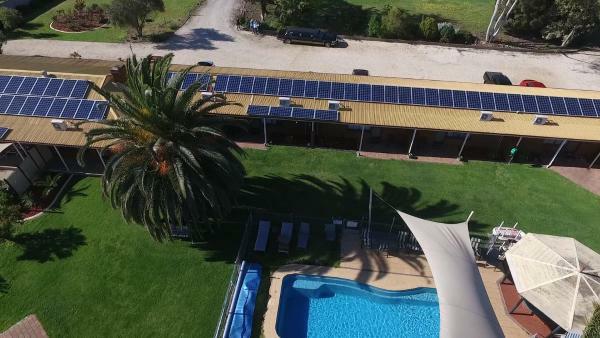 Free Wi-Fi, a saltwater swimming pool and barbecue facilities are on offer at Motel Wingrove, just 10 minutes’ walk from the Murray River. It offers air-conditioned rooms with a flat-screen TV. This hotel is 2.51 km from city center. Located on 2 acres of land, Motel Meneres features a saltwater swimming pool, a spa and a sauna. Just 1 km from the popular Federation Museum, it offers rooms with free Wi-Fi, a flat-screen TV and a DVD player. This hotel is 2.55 km from city center. 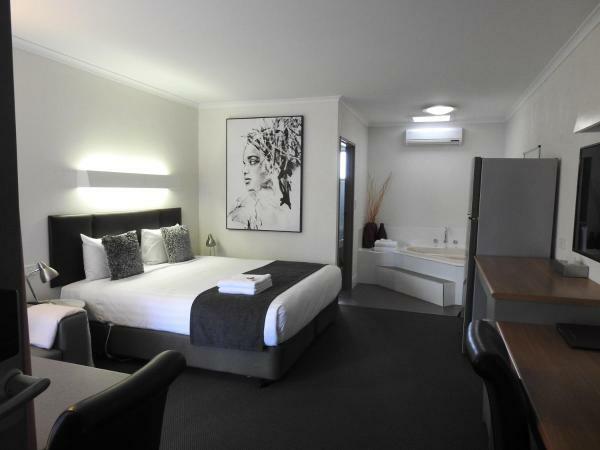 Situated in a great location in the heart of Corowa, The Statesman Inn offers air-conditioned accommodation with free Wi-Fi. Guests have access to a saltwater swimming pool. This hotel is 2.60 km from city center. 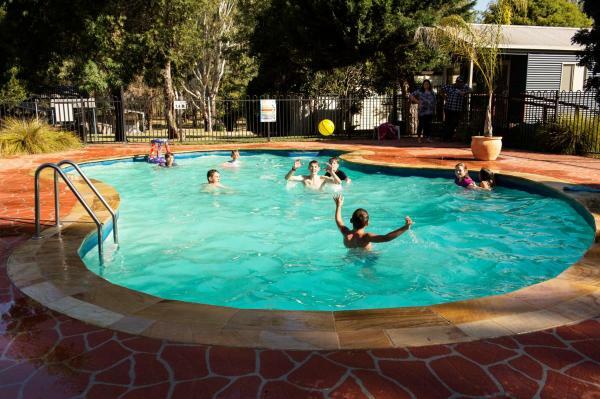 Featuring an outdoor swimming pool, BBQ facilities and free WiFi, Best Western Heritage Motor Inn is just 5 minutes’ drive from the Murray River. It offers air-conditioned rooms with flat-screen cable TV and an iPod docking station. This hotel is 2.80 km from city center. 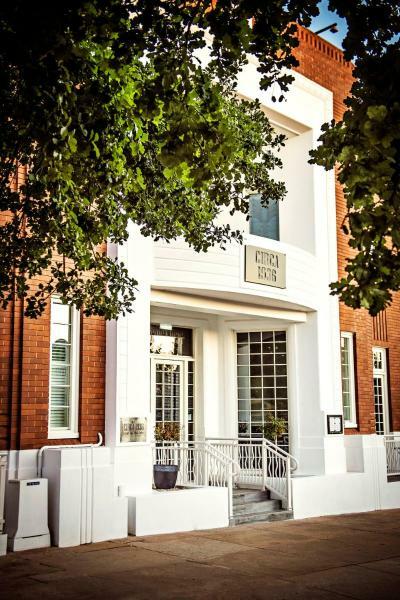 Situated in Corowa, Circa 1936 features luxurious suites with impressive inclusions such as a day spa treatment, a gift of his and hers black satin slippers and kimonos and free WiFi. This hotel is 3.13 km from city center. 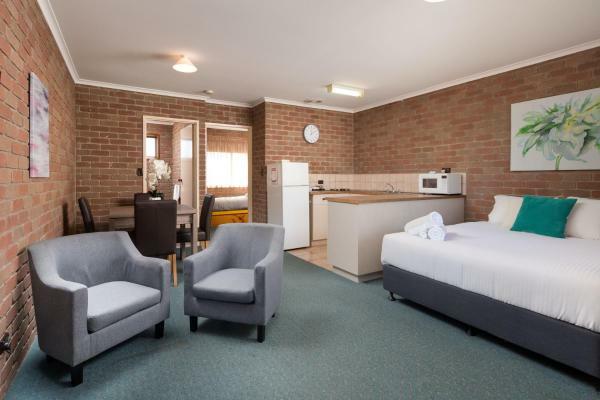 Featuring BBQ facilities and an outdoor swimming pool, Corowa Motor Inn offers spacious rooms and suites just 100 metres from Corowa town centre. Guests enjoy free WiFi, a games room and a shared laundry. This hotel is 3.19 km from city center. 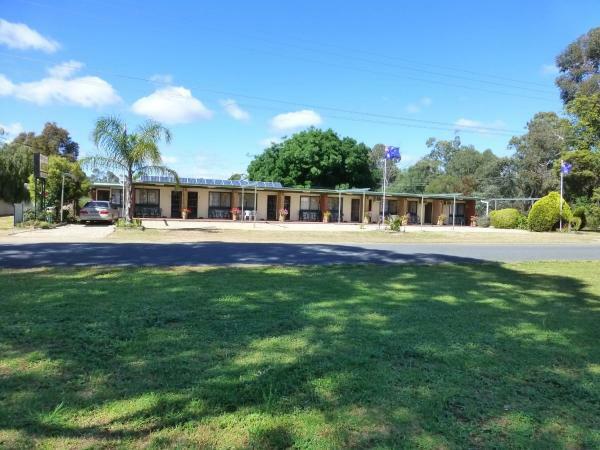 Situated on 3 acres, Federation Motor Inn is located in the heart of Corowa town centre. It offers an outdoor saltwater pool, free parking and free Wi-Fi. The air-conditioned guest rooms feature a TV, toaster and tea/coffee making facilities. This hotel is 3.80 km from city center. 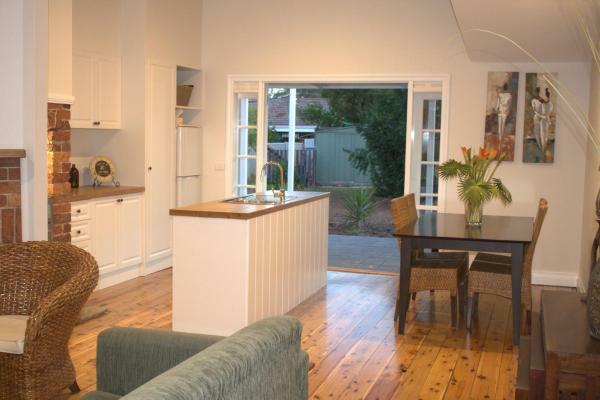 Located on one of Rutherglen's premier wine estates, this detached villa is 47 km from Albury. The air-conditioned unit is 34 km from Wangaratta. There is a seating area and a kitchen complete with an oven and a microwave. This hotel is 7.72 km from city center. 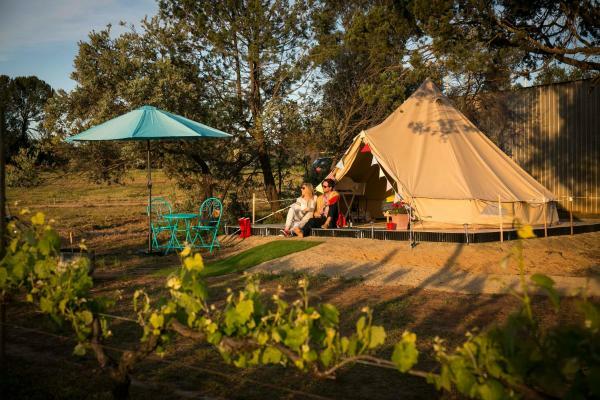 Grapevine Glamping is set in Wahgunyah. Complimentary WiFi is offered. Every unit is fitted with air-conditioned rooms and a kitchenette with a microwave and kettle. This hotel is 4.86 km from city center. 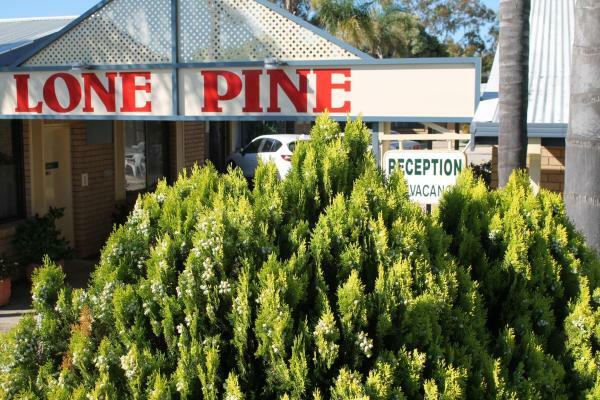 Offering a swimming pool and BBQ facilities, Lone Pine Motel is just 2 minutes’ walk from the Murray River. 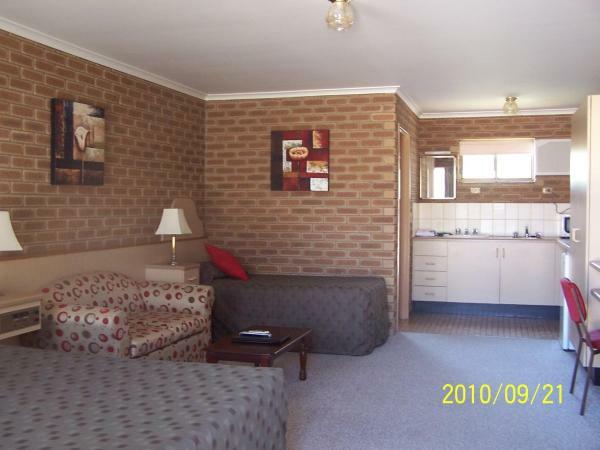 All accommodation offers free WiFi, a flat-screen TV and a kitchenette or fully equipped kitchen. This hotel is 4.02 km from city center. 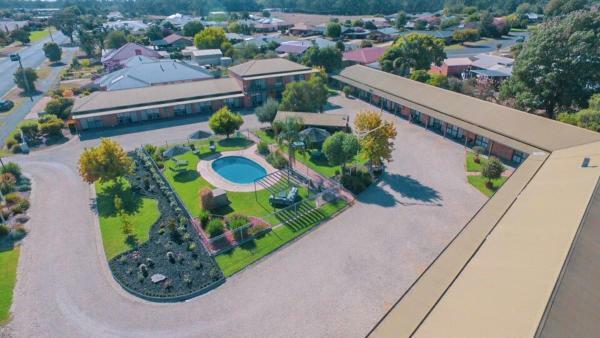 Located along the Murray River, Rivergum Holiday Retreat is 2.5 km from the All Saints Estate, a120-year old castle set within a winery estate. It offers an outdoor pool, a boat ramp and free parking on site. This hotel is 4.43 km from city center. Situated on the banks of the Murray River, Corowa Bindaree Holiday Park features direct access to the river with a private boat ramp. The park has an outdoor swimming pool with BBQ area, jumping pillow and children's playground. This hotel is 4.69 km from city center. Set on 2.5 acres of lovely gardens, Rutherglen Motor Inn boasts an onsite golf course, an outdoor swimming pool and BBQ facilities. Just a 2-minute drive from Rutherglen town centre, all rooms feature a private patio. This hotel is 10.66 km from city center. 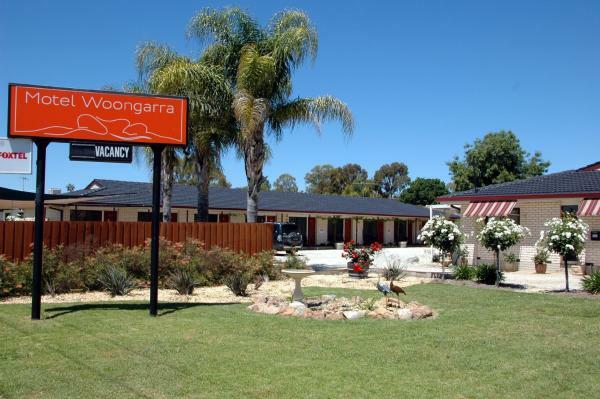 The Walkabout Motel is located just a short drive from the Rutherglen Golf Club and 2 minutes’ walk from Lake King. It offers an outdoor pool, barbecue facilities and free WiFi throughout. This hotel is 10.67 km from city center. 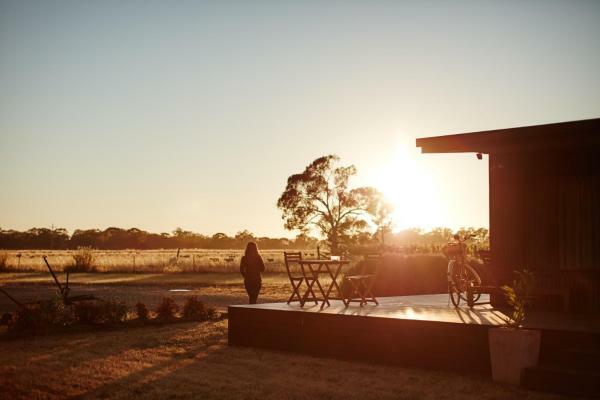 Set in Rutherglen, 5 km from Lake Moodemere Vineyards, The Yellow Daisy is a 4-star guest house offering an outdoor area with BBQ. The 3-bedroom cottage has an open-plan kitchen, dining and lounge area with a sofa bed available upon request. This hotel is 10.82 km from city center. Tuileries Rutherglen in Rutherglen features an outdoor swimming pool and a garden. 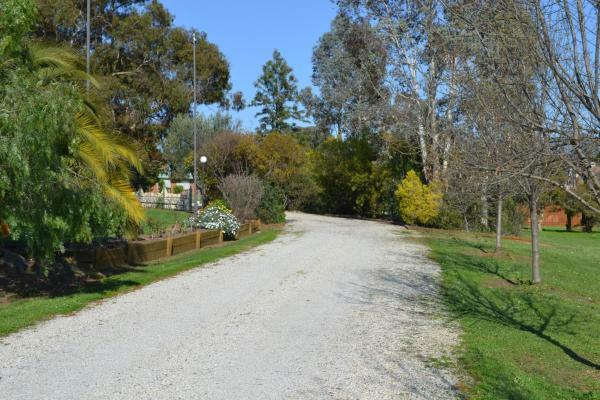 The property is located 6 km from Lake Moodemere Vineyards. Both free WiFi and private parking are accessible on site. This hotel is 10.89 km from city center. Featuring an outdoor swimming pool, this motel offers spacious ground floor rooms with free satellite TV and free Wi-Fi access. Facilities include a courtyard BBQ area, children’s playground and a guest laundry. This hotel is 10.96 km from city center. 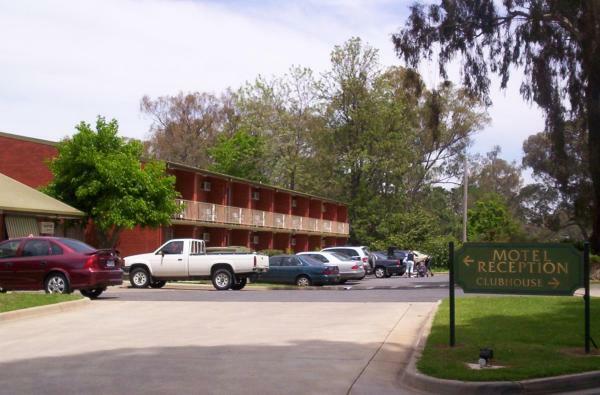 Featuring a large heated swimming pool, outdoor BBQ entertaining area and guest laundry facilities, this motel offers spacious ground floor rooms with free Wi-Fi, free cable TV and a DVD player. Set on 1. This hotel is 10.95 km from city center.